L579 (51319, 59424 & 51065) & L418 (51355, 59507 & 51397) arrive at Sharpness on a very dull 26 October 1985 with the Monmouthshire Railway Society 08:10 Cardiff Central to Portishead 'Sharpness Shunter' railtour. Whilst the rear unit is a complete Class 117 set, the leading Class 119 set has had the front vehicle replaced by a Class 118 DMS vehicle. The original coach (51093) was scrapped earlier in the year. 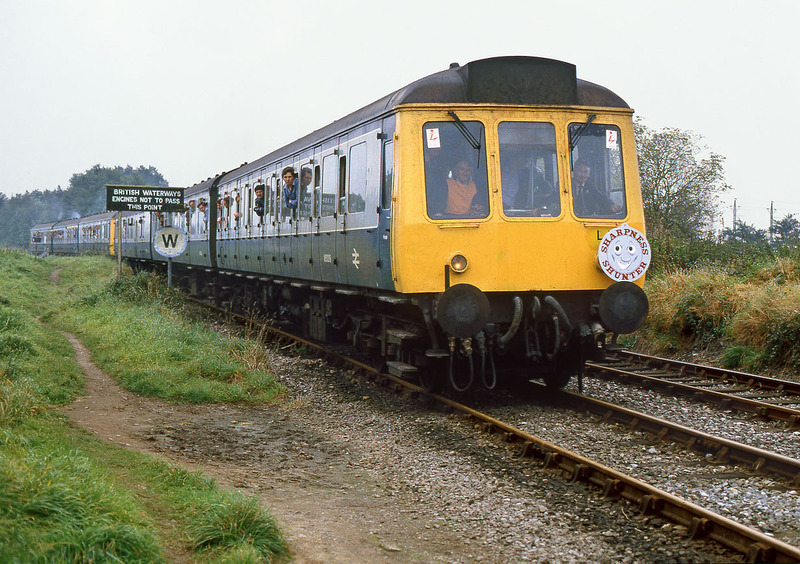 The Class 118 vehicle (51319) comes from the disbanded set P462, the other driving car of which had also been scrapped earlier in the year.